During the process of excavation, blasting can induce cracking inside the surrounding rock. Considering the effects of material properties and loading conditions, a rock blasting excavation model with two successive excavation steps was developed through the use of AUTODYN code. Four kinds of equation of state (EOS), linear, shock, JWL, and compaction were applied to the materials employed in this numerical model. A modified principal stress failure criterion was applied to determining material statuses, and TNT explosive and a relatively homogeneous igneous rock, diorite, were used in this numerical model. By using this numerical model, rock fracturing process during blasting excavation was simulated, and rock fracturing process during two successive excavations is presented. Fragmentation of rock by blasting is widely used in mining, quarrying and civil construction excavations. The design of blasts requires the knowledge of the detonation properties of the explosive and the responses of the rock. However, our understanding of the blasting process and blasting mechanism is far from complete, as both commercial explosives and rocks are complex materials. Usually blasting can release a large amount of energy within microseconds. Under such circumstances, the target rock undergoes high pressures in the giga Pascals and thermodynamic influences (Gebbeken & Greulich, 2006), and the short duration of blasting loads often exhibits strong spatial and time variations, resulting in sharp stress gradients in the rock and a varying strain rate (Krauthammer, 1999). Therefore, the study on the response of rock under blasting loading is very difficult and hence, it is essential to implement both experimental studies and numerical studies. Experimental studies can generate an experimental database while numerical studies can simulate the processes of rock fracturing to obtain a better understanding of the dominant parameters that control rock fracturing. During the process of tunnel excavation, two types of loading operate on the surrounding rock: stress wave (or shock wave) loading and explosion gas pressure loading. The stress wave loading arises out of detonation of the explosive charge. For typical commercial explosives, the detonation pressure exerted on the surrounding rock at the moment of initiation could easily exceed 10GPa. This high pressure on the surrounding rock sets off a shock wave in the adjacent rock, but it soon decays to a high amplitude stress wave that propagates in the rock at the velocity of longitudinal wave. It is immediately followed, albeit at a much reduced velocity, by the longer duration gas pressure loading. This loading due to gas expansion continues long after the stress wave has dissipated, as its expansion rate is considerably lower than that of the propagating stress wave (Brinkman & Separating, 1989; Paine & Please, 1994; Zhu et al., 2007). The former initiates cracks or damage zones, and the latter penetrates into these cracks and causes their further extension and propagation, and in more severe case may result in rock burst from excavation surface (Zhou & Hong, 1995; Stewart et al., 2001; Zhan & Wang, 2007). In rock blasting, three basic fracture zones, i.e., crushed zone, severely fractured zone and incipiently cracked zone as well as the circumferential spalling cracks will occur around the borehole. The fracturing mechanism under blasting loading has been analyzed, and the factors that affect rock fracturing have been discussed in Zhu et al. (2007, 2008). During tunnel blasting, a blast-induced damaged zone immediately around the tunnel boundary is developed. Generally, this zone is characterized by the reduction in its strength and stiffness and the perceived implications are clear, in that they relate mainly to construction and maintenance costs, safety and the long-term performance of the tunnel (Saiang & Nordlund, 2009). 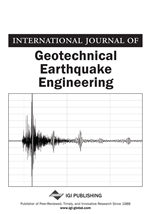 The original properties of rock around the tunnel boundary are changed due to blasting impact, resulting in a change in stress distribution and the mechanical properties of rock mass, such as strength, deformability, and in particular permeability through a network of cracks (Golshani & Oda, 2007; Zhu & Bruhns, 2008; Kwon et al., 2008). The characteristic fracture patterns after perimeter blasting of a granite block and rock mass condition around a tunnel boundary excavated by drilling and blasting were showed in literature (Olsson & Bergqvist, 1995; Saiang & Nordlund, 2009). Such a complex physical state of the blasting-induced damage to the rock can significantly influence the mechanical response of the damaged rock mass and, consequently, the overall rock mass around the fractured zone.